The sole purpose of insulating your property is to prevent heat from getting out of the property and there are simple and easy ways to do this all of which are affordable. Homes lose heat through walls, windows, roofs and doors, so it is important that you have the correct amount of insulation installed and energy efficient windows and doors. Studies have shown that houses are losing around 1/3 of their heat. 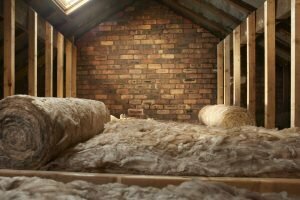 The process of insulating your loft is straightforward and it can effectively last for around 40 years. The amount of heat lost is certainly reason enough to install it. Check out facts. Installing insulation in your loft first starts with laying down insulation blankets across the surface of the roof and should be around 300mm thick. If you already have insulation installed, check that they meet this requirement and if they don’t, top the insulation up so it does. Most houses built after 1990 will have insulated already fitted into the walls, but many older homes do not. The first step is to find out what exterior walls you have on your property as the type of insulation needed will depend on this. Contact us. The easiest walls to insulate are cavity walls and the process is simple. Houses built after 1920 will likely have these walls. 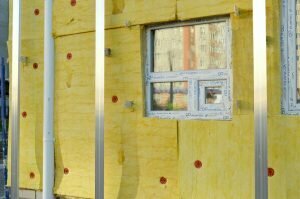 The process of insulating solid walls involves putting insulation on the internal side to keep heat in, but is more costly. But, you can have free home insulation from a government back scheme, if you’re eligible.